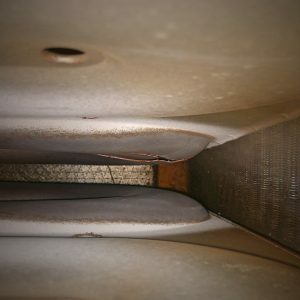 I’ve put some pictures here of a damaged heat exchanger in a furnace. (Betcha didn’t know I’m a good digital photographer!) The heat exchanger is what actually heats the air in the furnace that then goes to your rooms. 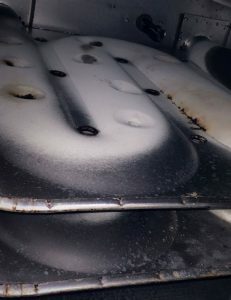 If the heat exchanger is damaged or cracked, it can allow toxic gases to escape from the exchanger and enter the air heading into your house. These are the gases that are supposed to be vented outside, and for good reason: they’re deadly! 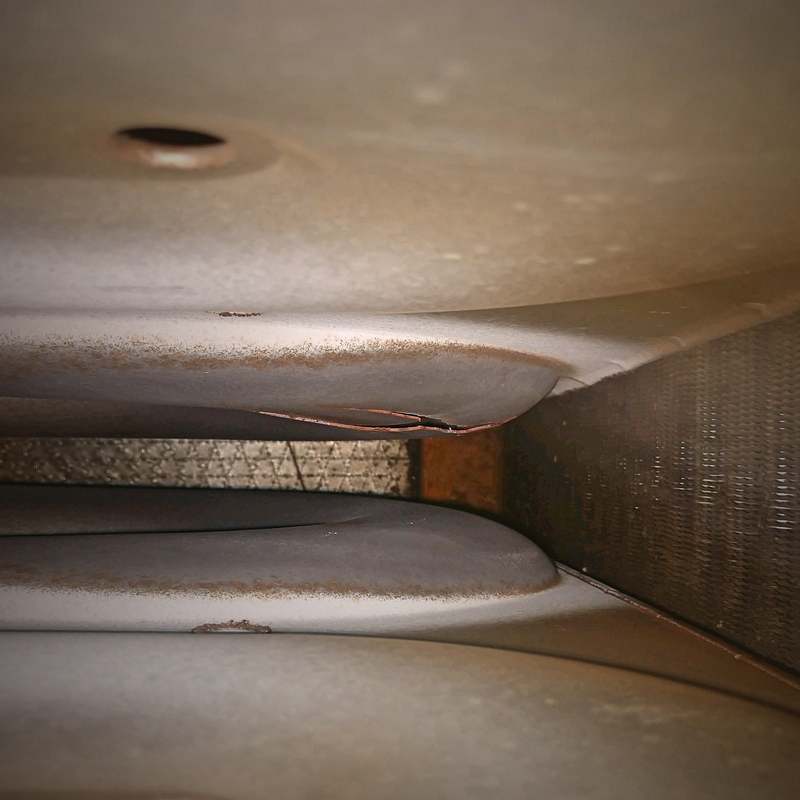 Combustion analysis is one of the ways a technician can discover if a heat exchanger is cracked or damaged. It’s not the only way, but it is the most thorough and reliable. The ol’ fashioned way of checking to see if a heat exchanger was cracked or damaged was for the technician to just look at it. This is a case where “ol’ fashioned” doesn’t mean better—not all cracks in an exchanger are easily visible. Another way to check the heat exchanger was to use a special miniature camera that could be inserted into the heat exchanger to examine it from the inside. There’s a drawback to this as well, which is the camera can’t reach all parts of the inside for a complete inspection. Combustion analysis uses a special device that analyzes the exhaust gases coming from the furnace through the flue—think of the flue as like the tailpipe of a car. 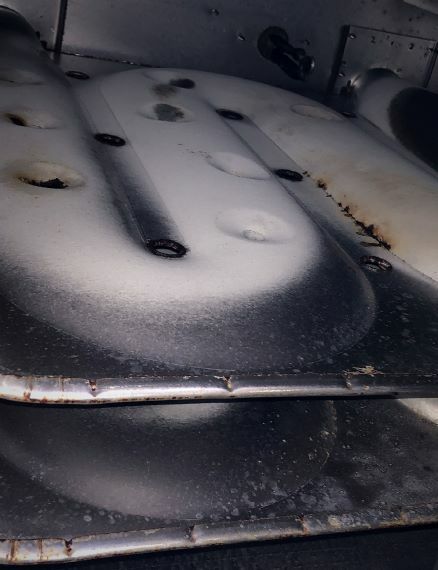 This analysis will tell us if the furnace is working safely or if the heat exchanger is cracked. We can even print up a report right from the combustion analyzer to show you the results. Combustion analysis isn’t something all HVAC contractors do! Unlicensed technicians certainly won’t do it (they may not even bother to look at the heat exchanger). But even licensed technicians may rely on only a visual inspection. At Russell & Abbott, we use the best combustion analysis tools because your safety is important to us. If you need heating repair in Knoxville, TN, don’t delay calling us. You’ll not only take advantage of this great offer, but you’ll protect your family as well as your comfort! Arrange for service with free combustion analysis today! Russell & Abbott serves Maryville, Knoxville, Alcoa, Blount County, Knox County, and Loudon County.